indeed a BEE-you-tee-pool day te mon!!! 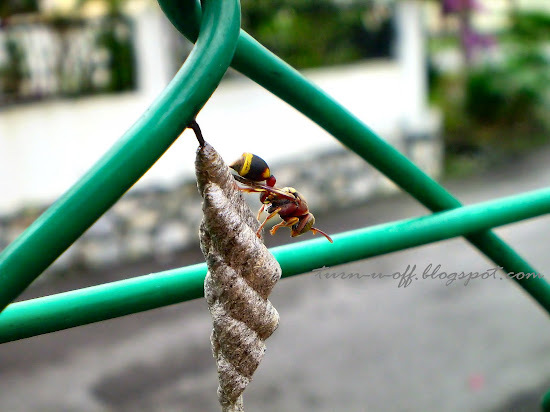 wowee.. nice shot Mon.. but so scary lah.. better not get close ah.. bee sting is no joke you know! yalor so scary! R took this shot actually LOL and I really liked it! So nice the bumble bee shot, so clear..... confirm no need buy new camera Mon lol! i so love this photo!!!! great one, Monica! yalor u missed it again...huhuhuh! hope all is fine with B! yalor u still markah telur Mariuca! Yes dea, I agee with you dear, we should live our life to the fullest and fight for our dreams. In a matter of time, your badge will be up at my Therapy Home and 1 point at the FCC Scoreboard, yay! have a wonderful weekend dearie. I have a hotty tag for new year to you! hope you enjoy it! Happy metal tiger year!!! Take care oweiz. And it´s sooo cold here! Yeah, it's a bee-yooo-tiful day indeed! Now if it's a holiday, it'll be more bee-yooo-tiful! !